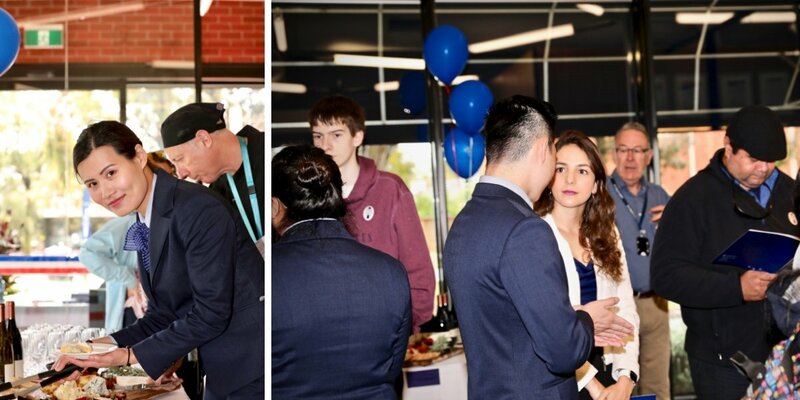 Le Cordon Bleu Melbourne’s Open Day attracted 100 guests including the culinary curious, budding chefs, and aspiring hospitality professionals who came to see the expertise of our chefs in action and new state of-the-art facilities. Delighted guests were greeted at reception desk with oysters and champagne, red and white wine with cheese, crackers and freshly made French bread, and barista coffee with chocolate truffles. A French waffle (gaufre) station serving hot waffles with a selection of toppings was especially appreciated on such a cold, rainy day. 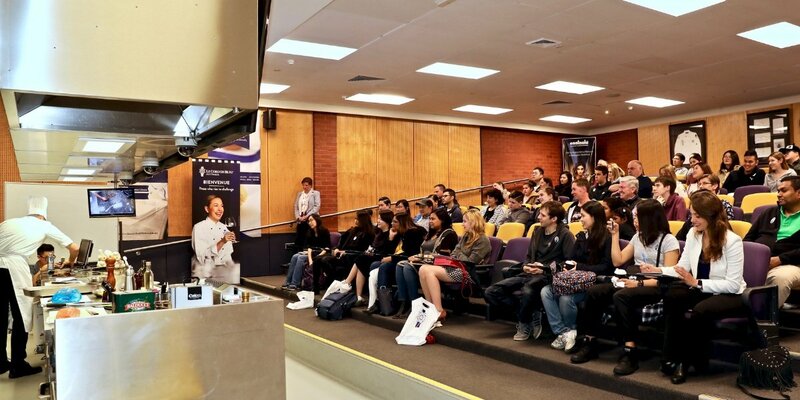 Upstairs in the kitchens, visitors watched a savoury & sweet culinary demonstration followed by a presentation on Le Cordon Bleu history, and an overview of Melbourne’s programmes. In the new kitchens, guests indulged in chocolate-dipped strawberries and chocolate truffles, while on the other side of Kitchen 1, Chef Javier created savoury ‘ice-cream cone’ canapés and brandy snap tacos. The ever-popular sugar sculpture was also demonstrated for impressed guests. The ‘atrium’ cafeteria had a delightful French ambience, decorated with a large banners depicting a traditional French village and market. Coffee tables embellished with gingham tablecloths and French café music playing in Cilantro completed the scene. 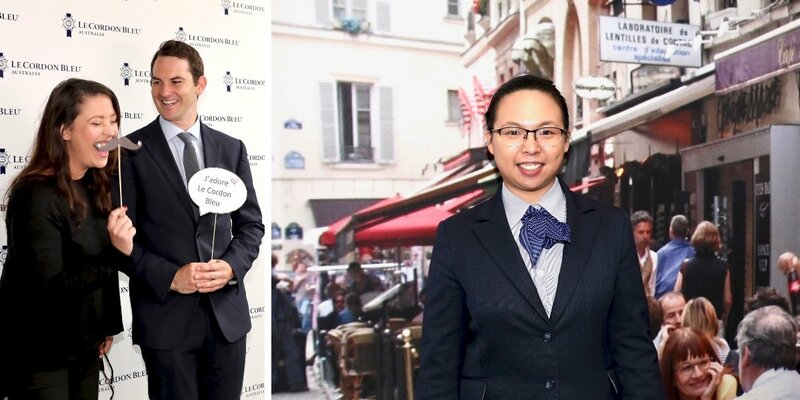 Le Cordon Bleu branded merchandise proved very popular, alongside a stall with Regional Sales Officer Byron Finnerty on hand to chat with interested parties about study options. Visitors were particularly interested in the Gourmet Short Courses, and the remaining two short courses for 2018, which will likely sell-out as a result of Open Day. 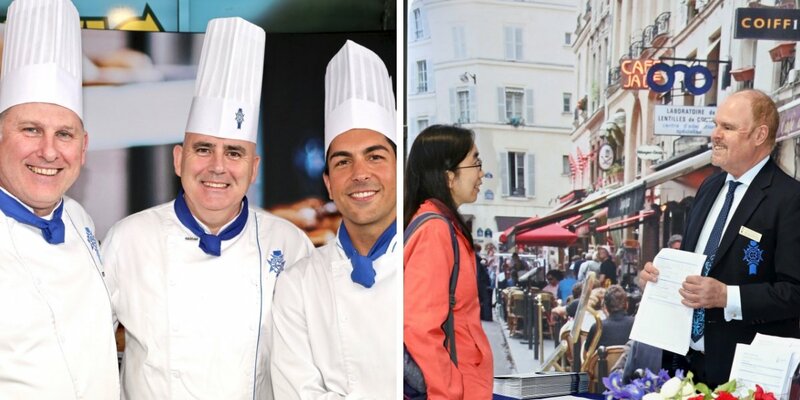 Congratulations to all for creating a memorable experience for visitors and friends of Le Cordon Bleu.